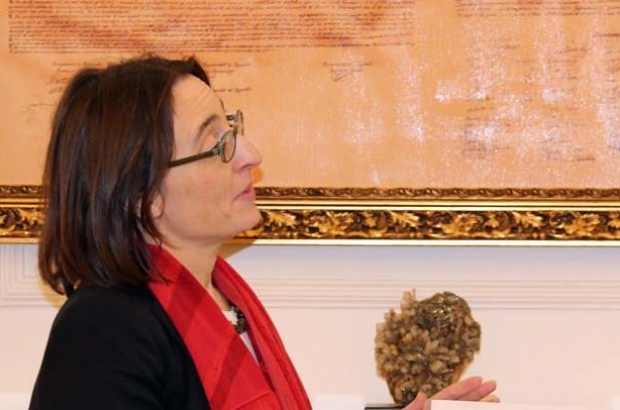 Belgium’s Ambassador to Bulgaria, Anick Van Calster (pictured), and her Dutch counterpart Karel van Kesteren have become the latest foreign diplomats to talk about the ongoing anti-government protests in Bulgaria, describing them as protests about European values, echoing a joint statement by their French and German counterparts last week, reports the Sofia Globe. In separate interviews with Bulgarian newspaper Kapital in recent days, Van Calster and van Kesteren said that the protesters wanted transparency and rule of law, rather than appointments to key positions of officials that the society did not trust to serve public interest. Van Calster, who became ambassador to Bulgaria last year, said that a government needed more than sheer parliamentary support (“the arithmetic of democracy”) in order to function properly. “What we see now is a government that feels legitimate, but at the same time, a lot of people have been taking to the streets over the past month, challenging its legitimacy,” she said. The best solution for the current political crisis, she added, was one that “will be widely supported by the people”.